This quiet residential neighborhood in the northeastern Bronx is best known as the home of NYC's largest green space: Pelham Bay Park. At nearly 3,000 acres, it certainly boasts many fabulous family attractions, including playgrounds, ball fields, the historic Bartow-Pell Mansion, a horseback riding center and the so-called Bronx Riviera, Orchard Beach. 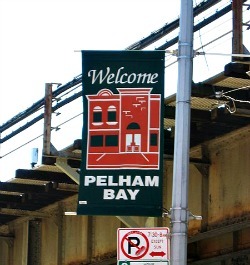 While you can certainly spend many days exploring Pelham Bay Park, it's worth checking out the quaint surrounding neighborhood, too, where you'll find lovely tree-lined streets with one- and two-family houses, longtime ma-and-pa businesses and kid-friendly restaurants. Our guide to Pelham Bay has the scoop on the best places to eat, play and experience with kids. We hope you enjoy getting to know the neighborhood with your family.